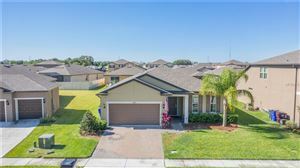 Let Captain Jayson Judson of Keith Furrow Realty Orlando help you find your next home in St cloud. St. Cloud is a city in northern Osceola County, Florida, United States. It is located on the southern shore of East Lake Tohopekaligain Central Florida, approximately 26 miles (41.8 km) southeast of Orlando. The city population was 35,183 in the 2010 census, and 40,918 in the 2013 census estimate. The city is part of the Orlando–Kissimmee–Sanford metropolitan area.